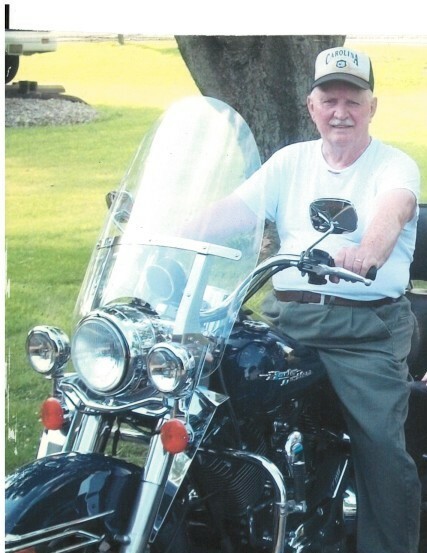 Delmer Lee Casto, 87, of London, died Thursday, January 17, 2019 at Mount Carmel Medical Center East, Columbus. Mr. Casto Was born January 4, 1932 in West Virginia a son of Lona Casto. He loved gardening and farming. Delmer is survived by daughters and sons-in-law: Janie and Tom Miles of California; Verna and Tim Williams of London; Betty and Tracy Burdette of London; grandchildren: Tony Casto, , Lacey (Roger) Belcher, Jessica Miles, Logan Miles, Jeff (Amber) Williams, Matt (Megan) Williams, Stacey (Adrian) Oty, Nichole (Jake) Carpenter; Tim Williams, Shane Gollihue (Shae), Josh Gollihue, DJ (Alexis) Gollihue, Mike Burdette, Jesse Burdette, Weinsday Burdette, 18 great grandchildren; numerous nieces and nephews. He is preceded in death by his mother; daughter: Jeanette Lynn Casto; his loving wife: Geraldine Casto. A funeral service will be held Monday, January 21, 2019, 1:00 PM. at the Rader-Lynch & Dodds Funeral Home & Cremation Service, 124 E. High St, London, with Pastor Mike Casto officiating. Friends are invited to call at the funeral home from 11:00 AM. until the start of the funeral. An interment service will be held Tuesday, January 22, 11:00 AM at the Creston Cemetery, Evans, West Virginia. Online condolences may be sent to: www.rldfh.com.